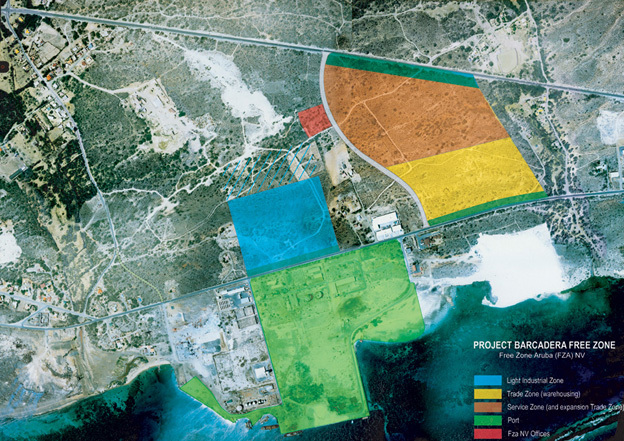 In 2013 Aruba Ports Authority N.V. announced that they were ready to begin Aruba’s US $62 million dollar project to Design, Build, Finance, Maintain, Operate, and Transfer the Multi-Cargo Sea Terminal at Barcadera. The contract was awarded to the local stevedoring company Aruba Stevedoring Company (ASTEC) NV. The project will be implemented as a Public Private Partnership (PPP) under the Landlord Model. The concessionaire will be responsible for the investments in terminal infrastructure, labor, and operational activities.